The dramatic freshening of the 2011 Lincoln MKX extends to all areas of the vehicle: new features and technologies not available anywhere else, new exterior design, new interior design with increased use of genuine materials, new powertrain with unsurpassed fuel economy, improved driving dynamics and new tires and wheels all combine to deliver an unparalleled luxury experience. 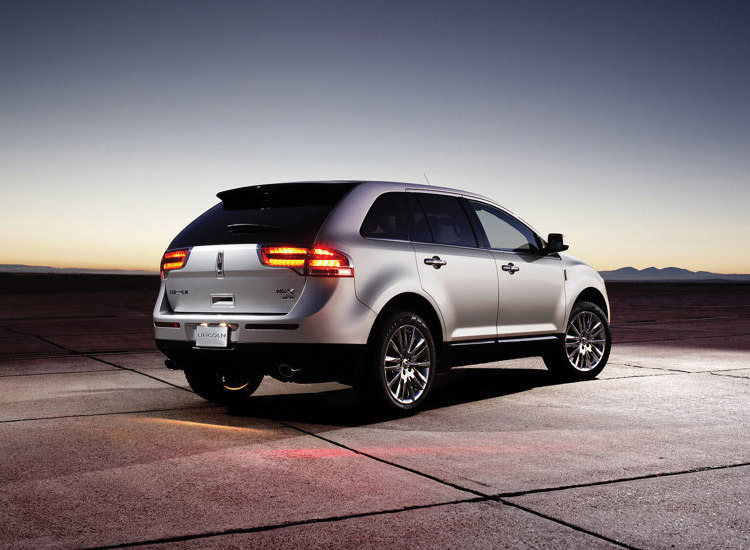 "The 2011 Lincoln MKX represents no-compromise luxury," said Elaine Bannon, chief engineer. 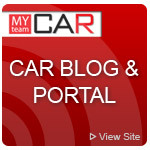 "Every attribute - technology, ergonomics, material selection, power, fuel economy, driving experience - is a standout. Plus, it's wrapped in a beautiful package." The industry-first MyLincoln Touch experience, powered by Lincoln SYNC®, replaces traditional vehicle buttons, knobs and gauges with clear, crisp LCD screens and five-way buttons like those found on cell phones and MP3 players. The screens can be personalized to display information relevant to each individual driver using a simple button click, voice command or touch screen tap. The electronic finish panel on the 2011 Lincoln MKX demonstrates all the advantages of this touch-sensitive technology in a beautiful, engaging package. Activated features display amber light. 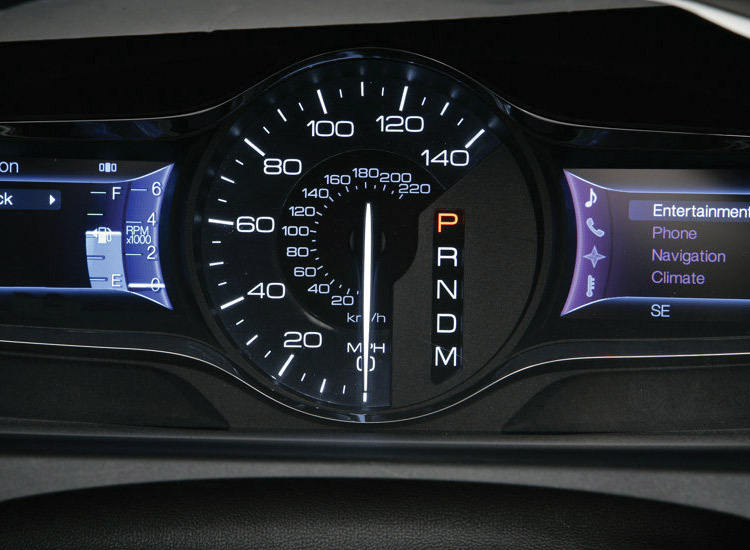 When turned off, signature Lincoln White lighting is displayed. 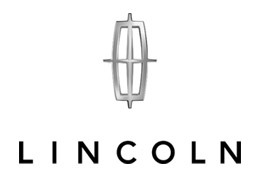 Also new on the 2011 Lincoln MKX is the world's first use of iTunes® Tagging in an available factory-installed HD Radio™ receiver. Enabled by the available Voice-Activated Navigation System through SYNC, iTunes Tagging provides customers with the ability to "capture" a song they hear on the HD Radio receiver for later purchase from iTunes. 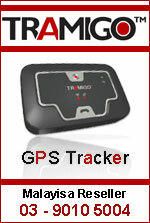 With a simple push of a "TAG" button on the radio display, the song information will be stored in the radio's memory. Once a song is tagged and customers dock their iPod to the SYNC system, the "tagged" song information will transfer to that iPod. When the iPod is then synced to iTunes, a playlist of tagged songs will appear. Up to 100 tags on SYNC can be stored until the iPod is connected. When an iPod is connected, the tags are transferred from SYNC to the iPod. Customers then can preview, purchase and download tagged songs from the iTunes Store, if they so choose. One significant benefit of HD Radio technology is that the sound quality of the broadcast is dramatically better because of the digital transmission - FM sounds like a CD and AM sounds like today's FM broadcasts. Plus, unlike analog broadcasts, digital broadcasts aren't susceptible to interference, fadeout and other issues. 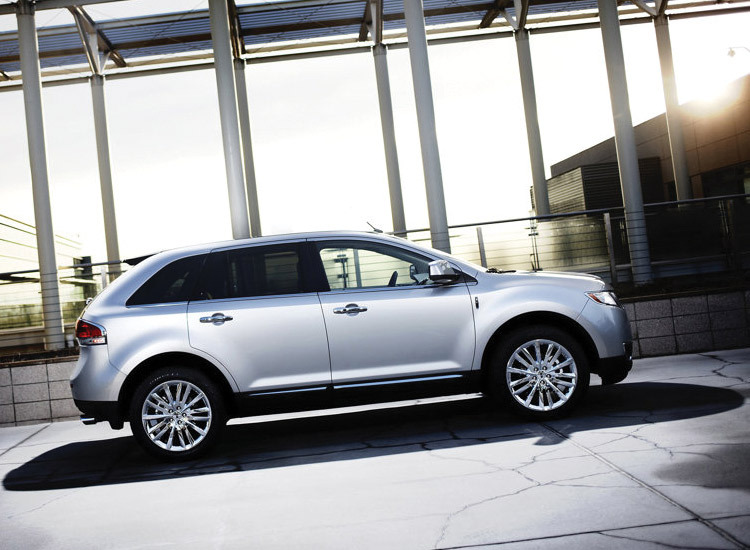 A wealth of upgrades means the 2011 Lincoln MKX will provide a more connected feel between the driver and the road through responsive acceleration, engaging steering, spirited handling and confident braking. The new 18-inch tires have increased grip and are mounted on larger wheels than the outgoing product, helping enable enhanced stopping and improved handling. Twenty-inch wheels are available as well. The springs, shocks and stabilizer bars also have been retuned to give the Lincoln MKX a flatter response through turns and over hills while still providing the comfortable ride luxury buyers expect and demand. The original Lincoln MKX set many benchmarks in overall quietness, and that tradition continues as Ford internal preliminary data show the 2011 MKX scores better in speech recognition, wind noise and sound package than competitors from Lexus and Audi. 1) Sound pack and acoustic glass: A more-absorptive sound pack is found throughout the interior, which reduces high-frequency noise more effectively than material that acts merely as a barrier. The result is an improved articulation index, which measures how easy it is to hear and understand someone in the vehicle. The 2011 Lincoln MKX also features an acoustic headliner, and the microphone for the SYNC system has been relocated so it is closer to the driver for improved voice recognition. 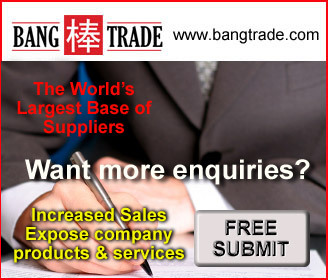 The windshield also is thicker and acoustic-laminated for reduced wind noise. Acoustic glass in the front doors also is standard for the 2011 model. Finally, baked-on expandable foam baffles in the fenders and rear D-pillars help seal out unwanted road noise. 2) Powertrain NVH improvements: Three main actions contribute to a quieter 2011 Lincoln MKX from a powertrain NVH perspective. One is the more robust engine cover. Intake and exhaust systems also have been completely retuned for a crisper note corresponding to Lincoln powertrain DNA. Finally, a "tighter" torque converter reduces engine rpm on launch and tip-in events, reducing engine noise. New four-wheel disc brakes provide enhanced stopping power. Key brake system upgrades include steel pistons, larger rear rotors, revised brake friction materials, revised brake booster gain and revised pedal ratios, all of which enable more initial bite and a firmer, more confident feel when customers press on the brake pedal. The 2011 Lincoln MKX also offers several new brake-related features: Hill Start Assist, which reduces rollback on hills; Trailer Sway Control, which provides greater towing stability when equipped with the available trailer tow package; Hydraulic Brake Assist, which provides greater braking force in emergency stops; and available Adaptive Cruise Control and Collision Warning with Brake Support. 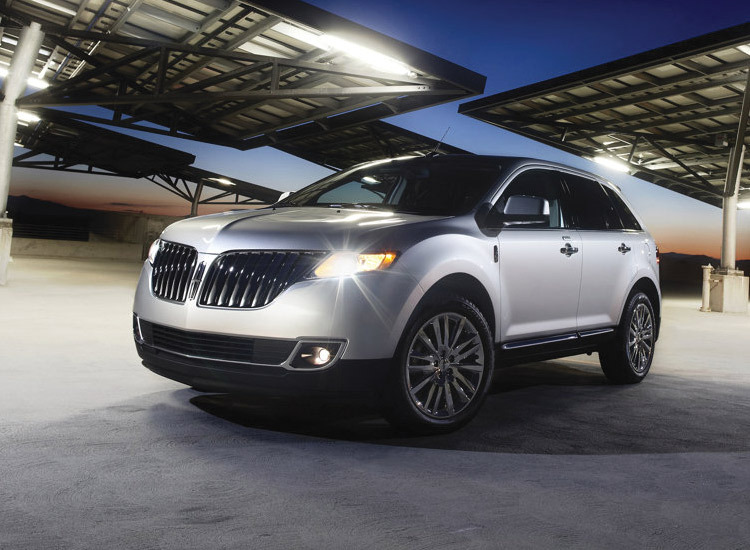 Power for the 2011 Lincoln MKX is supplied by the 3.7-liter Duratec V-6, which employs advanced technology and clever control strategies, such as Twin Independent Variable Camshaft Timing (Ti-VCT) to increase horsepower and torque without compromising fuel economy. 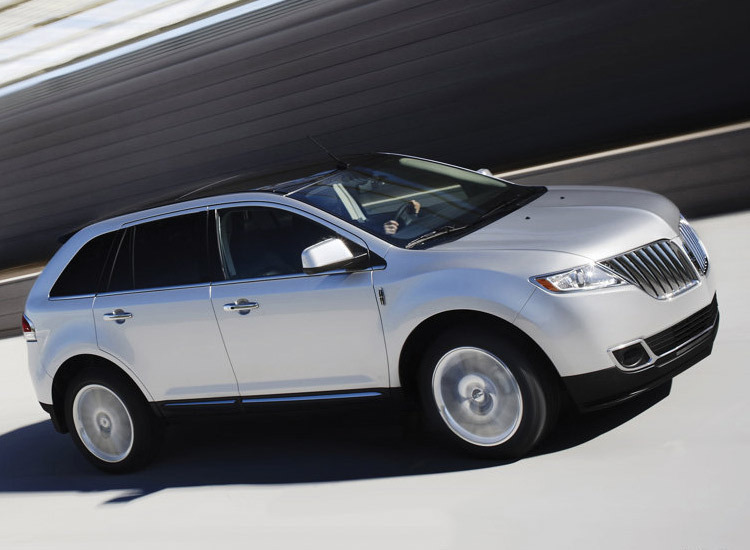 Customers of the 2011 Lincoln MKX will enjoy a luxury crossover that has best-in-class power and torque versus all V-6 competitors with unsurpassed highway fuel economy of 25 mpg - all on regular fuel. Horsepower has been increased to 305 - a 15-percent increase compared with the outgoing product - while torque is up to 280 ft.-lbs., marking a 12-percent improvement. The 3.7-liter Ti-VCT V-6 is mated to a six-speed SelectShift Automatic™ transmission, which gives customers the option of a fun-to-shift manual experience. In SelectShift mode, the transmission doesn't second-guess the driver, giving him or her control over gear selection and performance feel. Upshifts, for instance, are not commanded at redline, and downshifts are allowed at the lowest gear possible as defined by the engine speed. For instance, when a lower gear is selected while descending a long downhill grade, the 2011 Lincoln MKX in SelectShift mode will hold that gear until the driver manually upshifts or returns to the fully automatic setting. To help ensure safe shifting, the transmission will downshift to the lowest acceptable gear, based on a calculated maximum speed. That means if a vehicle is traveling at highway speeds, the driver cannot downshift to first gear in SelectShift mode. Improvements to engine hardware and powertrain control strategies account for the gains in power and fuel economy. Other strategies in addition to Ti-VCT are aggressive deceleration fuel shutoff; torque-based deceleration control and battery management through "smart charging." 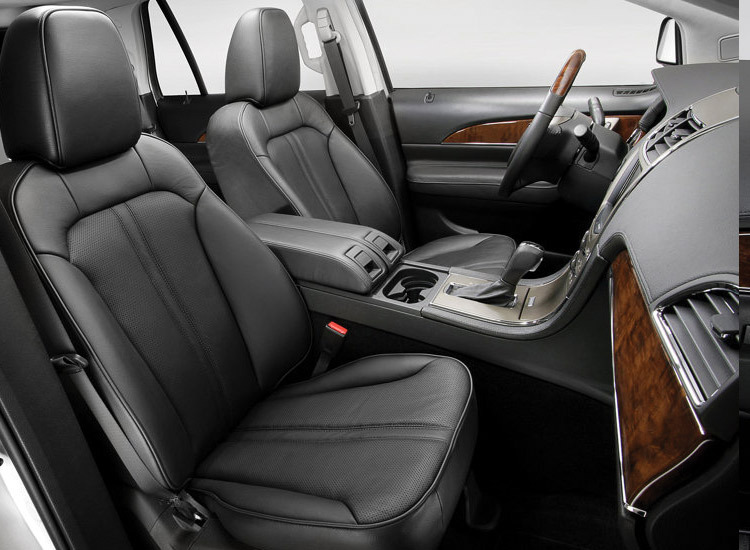 The interior of the 2011 Lincoln MKX reflects an even greater emphasis on what defines Lincoln DNA: luxury, craftsmanship, genuine materials and sharper execution. Gentle details that bring out Lincoln standards of quality and excellence include brightwork on the vents, genuine stitching on the doors and softer armrests with upgraded materials. The cupholders, with available ambient lighting, are found beneath the independent sliding leather-covered console lids, which feature decorative stitching. A power tilt/telescoping steering column and a heated, leather-wrapped steering wheel are available. All-new leather-trimmed seats, comfort sections and standard tuxedo stripe embrace the new Lincoln DNA sew style. More genuine aluminum appliqus are standard, with aluminum accents on the door added to the spears on the instrument panel.